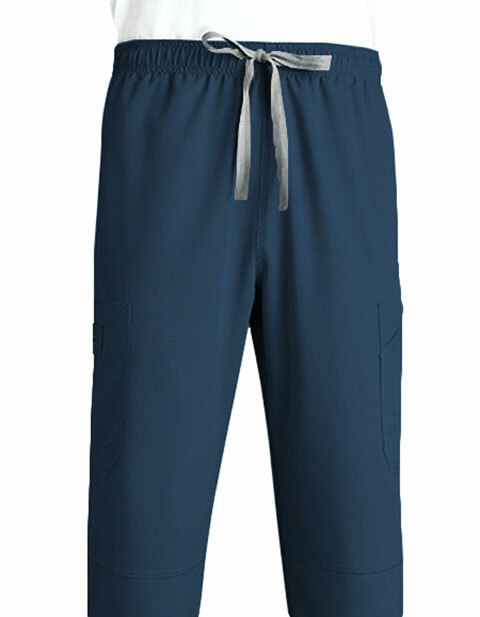 Feel comfortable at work with Grey's Anatomy men's six pocket elastic cargo scrub pants. The pants are equipped with an elastic drawstring for a personalized fit, while the multiple patch pockets on each leg with a pen stitch for storage ensure storage of your nursing supplies and personal essentials. Moreover, the slimmer than average cut gives a smart professional fit.